When Dr Mahathir Mohamad was last Prime Minister of Malaysia, Lee Hsien Loong was not yet Prime Minister of Singapore, and social media was not yet the phenomenon it is today. But it seems that the Singapore government is treating Dr Mahathir the way it did some 20 years ago: Let Mahathir be Mahathir, let him say and do what he wants, we’ll keep mum and we’ll only cross that bridge when we come to it. With the social media, everything that Dr Mahathir says becomes instantaneously widespread. His remarks that “the people of Singapore, like the people of Malaysia, must be tired of having the same government, the same party since independence,” immediately became the talk of the town. Thanks to the fact that it was all over the Internet and social media applications such as blogs, Facebook, Twitter and WhatsApp in double quick time. Singapore’s mainstream media did not even touch on those remarks. Because Singaporeans are not supposed to know? Because they would be deemed offensive by the government? Needless to say, such censorship does not hold sway anymore. The government has always been quick to rebut criticism and unseemly comments, especially those seen as meddling in internal affairs. But it has kept mum about Mahathir’s provocative remarks about Singaporeans being “tired of having the same government” and about plans to build an island near Pedra Branca. 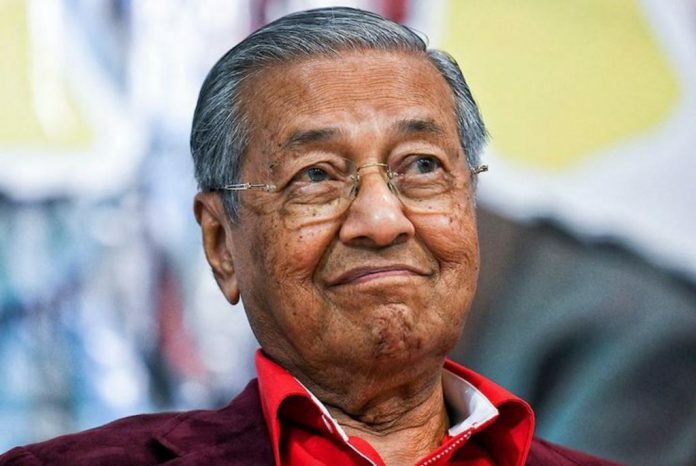 Dr Mahathir has tested the waters and sent out signals that he going to be combative, especially the way he called off the Kuala Lumpur-Singapore high speed rail project – unilaterally, without even an official word to the Singapore government, displaying trademark nonchalance and disdain. Dr Mahathir has a fundamental strategy not unlike that of the one that has served President Donald Trump very well. He keeps saying he wants to Restore Malaysia’s Glory (Trump’s motto is Make America Great Again). Dr Mahathir is moving at breakneck speed, racing against time to do what he tells Malaysians is necessary to bring back the glory days. What he says is gold and he has the backing of his countrymen and women because he is seen as a saviour who can do no wrong – at least for now. Singapore’s strategy of letting things simmer down and take its course may no longer be relevant because the 92-year-old is a man in a hurry and the 24-hour news and social media cycle suits him just fine. Clearly, the government is still trying to grapple with how to manage relations with Dr Mahathir. The strategy of two decades ago must be reworked. Beyond showing their mettle and resolve, Singapore’s leaders also need to raise their game when it comes to agility and speed of response and communication.